One of the most common colors in nature is brown and fortunately this abundance can produce a wide-range of brown dyes for textiles. Learn how to create natural brown dyes from 25 plants and then use it to dye fibers and fabrics for your home, clothing, and craft projects. The Amur maple, Acer ginnala, is a small maple tree that reaches 15 to 20-feet tall. It features clusters of fragrant, creamy white flowers in spring; red fruit on certain cultivars, and brilliant autumn color of yellow and red leaves. It is the autumn dried leaves that should be gathered to create a natural dye. The leaves produce a dark brown with black undertones when boiled in water. The color of garden beetroot is due to a variety of betalain pigments. The pigments are contained in cell vacuoles. Beetroot cells are quite unstable and will 'leak' when cut or heated. Removing the skin when boiling will help release more of the dye. To achieve a lovely deep brown dye, add FeSO4 or ferrous sulfate (iron sulfate) to the water dye bath. The bark of all varieties of birch tree will produce a brown dye. Birch species are generally small to medium-sized trees or shrubs, mostly found in temperate climates. Varieties include white birch, silver birch, paper birch, black or river birch, and cherry birch. The bark of all birches is characteristically marked with long, horizontal dark lines and often separates into thin, papery plates. A light brown dye is produced from the bark when boiled in water and needs an alum treatment for the fabric to fully set the color. Brooms are a group of evergreen, semi-evergreen, and deciduous shrubs. The plants produce dense, slender green stems, very small leaves, and yellow flowers.. The most widely familiar plant in the United States is common broom (Cytisus scoparius, syn. Sarothamnus scoparius), a native of northwestern Europe. It is usually found in sunny sites and in dry, sandy soils. Like most brooms, it has apparently leafless stems that in spring and summer are covered in profuse golden-yellow flowers. In late summer, its peapod-like seed capsules burst open, often with an audible pop, spreading seed from the parent plant. To make a yellow brown dye, boil the woody stems in water. Broom sedge, also known as beard grass, is a member of the grass family, Poaceae. A perennial grass that grows as a hardy clump, it dies back every fall then regrows from the same root mass the following spring. Historically, the long, brush-like grasses were used to make brooms, which accounts for the common name. Broom sedge is widely distributed throughout much of the eastern United States, from as far north as Maine and south into Florida. Its range extends westward to Texas and Illinois. The grass, when boiled in water, will produce a golden brown dye. The same component in coffee that causes stains can also be used to create dye shades from ecru to a warm brown. Dyeing with coffee grounds can be done by brewing coffee and using the hot coffee as the dye bath. Espresso coffee is darker than regular roast. The darker the bean, the darker the dye. If you plan ahead and want to do a large batch of dyeing, refrigerate or freeze grounds from your daily brewing until you have enough grounds for a large batch. Heat in boiling water, strain, and use the liquid for the dye bath. Another dyeing technique is to massage the coffee grounds into the fabric. Damp grounds give more color than very wet grounds. Make a paste of raw coffee and smear it on the fabric. Dry the fabric thoroughly with the grounds still in place. Brush off the excess grounds when fabric is completely dry. The Colorado White Fir, Abies concolor, is native to the mountains of western North America. It is a medium to large evergreen coniferous tree popular as an ornamental landscaping tree and as a Christmas tree. The needles are silvery blue to silvery green, curve up from the stem and are soft to the touch. The bark is thin and an ashy gray with resin blisters. The bark when boiled with water produces a light brown or tan dye. Rubeckia is known as coneflower or black-eyed Susan. All types of rubeckia are native to North America and many species are cultivated in gardens for their showy orange, yellow, or gold flower heads. They are perennial plants with flowers like look daisy-like around a cone-shaped head. The dried flower heads when boiled with water will produce a brownish green dye bath. Adding the leaves and stems to the dye bath will produce a more golden hue. Dandelions, Taraxacum, are native to Eurasia and North America and usually considered as an invasive weed. They are characterized by bright yellow flowers and leaves with a ragged sawtooth look and a deep tap root. The flowers will produce a yellow dye. Dandelion roots when boiled in water will produce a warm brown dye. To use fennel as a brown dye, you will need the leaves and flowers of the plant, not the edible bulb sold in grocery stores. Fennel, Foeniculum vulgare, is a hardy, perennial herb, with yellow flowers, and feathery leaves. To create a dye bath, boil the flowers and leaves with water. The dye will be a yellowish-brown. Dried fennel seeds can also be used when boiled with water but will produce a very pale brown dye. While goldenrod flowers can produce a yellow dye, goldenrod shoots gathered in early spring will make a deep brown dye when boiled in water. Goldenrod, Solidago, is a very common wildflower found throughout the United States. All goldenrods are late bloomers, flowering in late summer into the fall. They are all perennials with large clusters of small yellow flowers. Most species propagate by a spreading root system in addition to seed. Henna comes from the leaves of a small tree or shrub, Lawsonia inermis, that is native to Asia, Australia, and northern Africa. The leaves are dried and ground into a green henna powder. When the powder is mixed with lemon juice and allowed to oxidize, it becomes a brown paste that can be used to dye fibers. 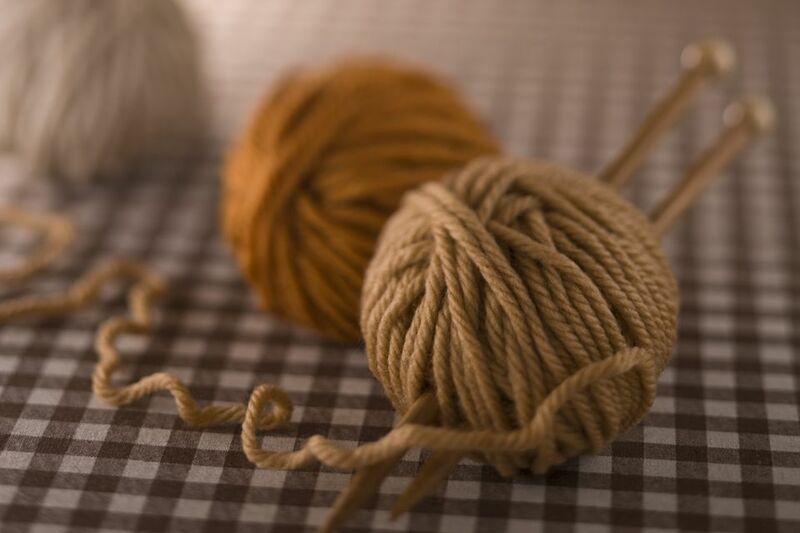 The finished color of the fibers ranges from light orange to deep reddish-brown depending on the type of fiber and how long it is left in the solution of henna paste and water. Using hot water produces a deeper color. Hollyhocks, Alcea, bloom in a rainbow of colors from pink, purple, orange, yellow to white. They are popular garden ornamental plants and do well in full sun locations that might be too hot or dry for other plants. They produce large, flat coin-shaped seeds that grow easily because each plant only lasts for one or two seasons. To create a brown dye bath, gather the petals of any color hollyhock flower and boil with water. There are dozens of different types of ivy, Hedera, found around the world. The majority of these vines are prolific and grow easily. Gather the twigs and stems of any ivy and boil in water to create a yellowish brown dye bath. Even though ripe juniper "berries" are blue, they can create a nice brown dye when boiled in water. The juniper berry is actually the female seed cone produced by various species of junipers. The cone has unusually fleshy and merged scales, which give it a berry-like appearance. Juniper berries are often used in European cooking and to flavor gin. The outer scales of the berries are relatively flavorless, so the berries are almost always at least lightly crushed before being used as a spice. They are used both fresh and dried, but their flavor declines during drying and storage. Fresh or dried berries can be used to produce dye. Every spring, maple trees put forth red buds where leaves will eventually form. If you are looking for a reddish-brown dye, gather these buds. By boiling them with water, you'll have a beautiful dye. Acorns from the mighty oak will produce a brown dye when boiled in water. You can create different shades of brown by using acorns from different types of oak trees. Use both the acorns and the caps to create the dye bath. Use oak bark to create a light brown or tan dye. Any species of oak bark will produce a dye. Gather the bark and boil in water to extract the dye. The bark from pine trees will produce a light medium brown. Different species of pine will produce slightly different shades of brown. Gather the bark and boil with water to extract the dye. Pines are trees in the genus Pinus. There are about 115 species of pine. Pines are native to most of the Northern Hemisphere and are evergreen, resinous trees. St. John's Wort, Hypericum perforatum, is now known as an over-the-counter treatment for mild depression. But for many years the blooms were gathered to create brown dye when boiled in water. It is a perennial plant with extensive, creeping rhizomes. Its stems are erect and the leaves are yellow-green. The flowers have five petals and are bright yellow with conspicuous black dots. The flowers appear between late spring and early to mid summer. Sumacs, Rhus, grow in subtropical and temperate regions throughout the world, especially in Africa and North America. They propagate easily and can become a nuisance shrub or small tree. Almost every part of the common sumac plant can be used to create dye. It is the leaves that will produce a tan or very light brown dye when boiled with water. The same tannin component in tea that causes stains can also be used to create dye shades of varying hues. Dyeing with tea leaves can be done by brewing tea and using the hot tea as the dye bath. The darker the dried tea leaves, the darker the dye. Tea bags are a handy way to create dye that needs no straining but loose leaves can also be used. To get a strong dark brown to black dye, you'll have to find a walnut tree not just a bag of walnuts at the grocery store. The walnuts in a shell that are found at the store grow in an outer hull or husk while on the tree. It is the husk/hull that will produce a black dye. The walnut tree, Juglans regia, is a large, deciduous tree. The leaves are alternately arranged with five to nine leaflets paired alternately with one terminal leaflet. The female flowers are in clusters of two to five, ripening in the autumn into a fruit with a green, semifleshy husk and a brown, corrugated nut. The whole fruit, including the husk, falls in autumn. The seed (nut) is large, with a relatively thin shell with a rich flavor. The white maple, Acer saccharinum, is a species of maple native to the eastern United States and Canada and one of the most common trees in the United States. On mature trunks, the bark is gray and shaggy. On branches and young trunks, the bark is smooth and silvery gray. Collect the bark and boil in water to extract a dye that will produce a light brown to buff color. The dye bath must include alum to set the dye permanently. The wild plum is a shrub or small tree that is also known as American plum, American wild plum, sandhill plum, Osage plum, river plum, sand cherry, thorn plum, wild yellow plum, red plum, August plum, goose plum, hog plum or sloe plum. Wild plum, Prunus americana, is usually found in thickets. The range is from Massachusetts west to Manitoba and Montana, south to Utah, Colorado, and Oklahoma, east to Florida, and north to New York. The fruit of the wild plum is used today for jellies and desserts; but the roots will give a reddish or rusty brown dye when boiled in water. Yellow dock, Rumex crispus, is also known as curly dock, sour dock or narrow dock. It is a widespread naturalized plant throughout the temperate world including North America, southern South America, New Zealand, and parts of Australia. The leaves, flowers, and seeds, when boiled in water, produce varying shades of brown dye.